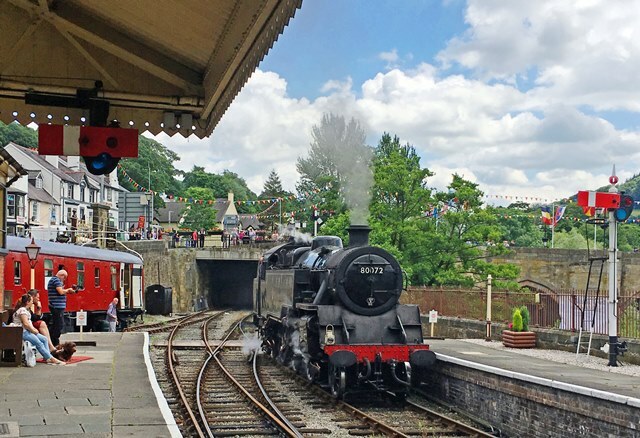 Four steam trains in three days – what a treat. 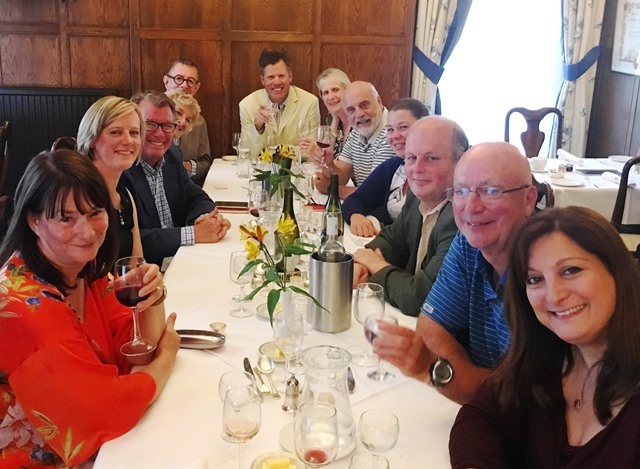 I was on on a very special trip to experience the delights of North Wales Heritage railways, sampling itineraries from specialist railway tour operators Great Rail Journeys and Rail Discoveries. The heat is overwhelming. There’s a smell of coal dust, hot metal and sea-salt. Steam hisses and a seagull squawks overhead. Adults ready their cameras, children giggle with excitement and the sense of anticipation builds. “Keep right in to the side there and watch that pipe; it’s boiling hot and will give you a nasty burn if you touch it.” Engine driver Paul ensures I’m ensconced in my tiny corner of the cabin, gives a brief nod to stoker Andrew, a piercing whistle shrieks across the river estuary out to sea, there’s a chuff-chuffing from the steam train and we are on our way. 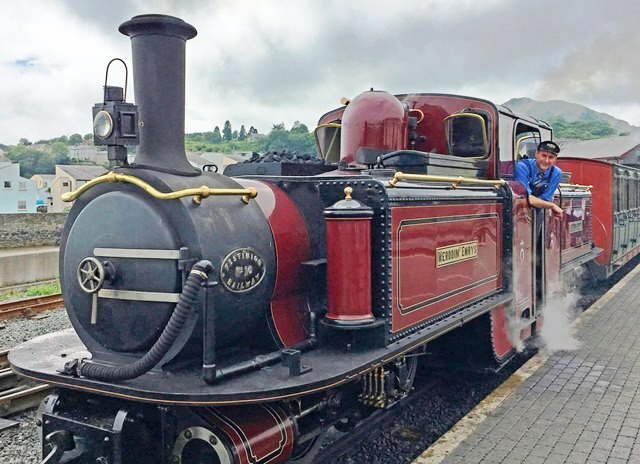 I’m on the very splendid Merddin Emrys, a push-me pull-you Double Fairlie locomotive built in 1879, on the Ffestiniog Railway, fulfilling a life-long dream to travel on the footplate of a steam train. 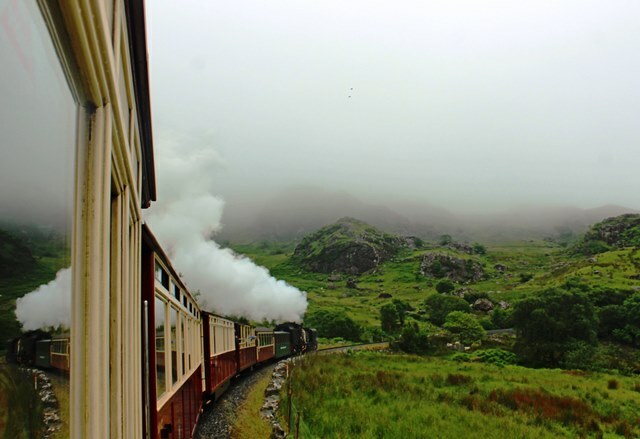 The Festiniog Railway Company, in North Wales, is the oldest surviving railway company in the world. It opened in 1836 to take slate from the quarries of Blaenau Ffestiniog to Porthmadog for export around the globe. We used to holiday in nearby Llandudno and I remember seeing the little train chugging along the track and wishing we could go on it … and now I’m finally here. The train slowly gathers speed as we pass fields of sheep and quaint cottages. People wave as we rumble through Boston Lodge and cows stop grazing to gaze at us as we steam by. At Minffordd, where we pass another steam train going in the opposite direction, I have to leave the engine and join the other passengers in one of the lovely old wooden carriages. We slowly start the steep climb into the mountains where the scenery becomes wilder through the glorious Snowdonia National Park. Sunlight glimmers through wooded groves and we disappear into a tunnel before doing a loop-the-loop at the Dduallt Spiral. 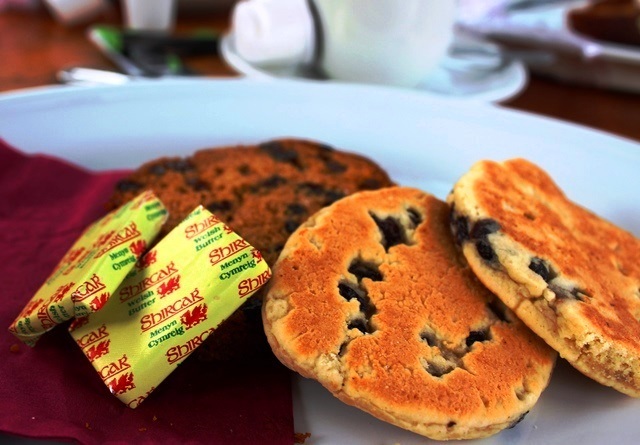 Afternoon tea arrives; a plate of local Welsh Cakes and Bara Brith (fruit loaf) are most welcome. Against railway rules I put my head out of carriage window and watch the steam train puff its way round the curve of the narrow-gauge track. The sight and sound of this sturdy little engine brings back many memories of childhood and a world where time seemed to go at a much slower pace. We arrive at Blaenau Ffestiniog Station and we have a quick look at the brand new, very luxurious, Pullman Observation Carriage, with beautiful wood panelling and maps of the railway route carved onto the tables. On the platform we watch as Paul and Andrew jump on top of the engine to check it and fill it with water. With its twin funnels and gleaming red livery, Merddin Emrys is a fine example of a Victorian steam train and I feel privileged to have spent some time in its company. 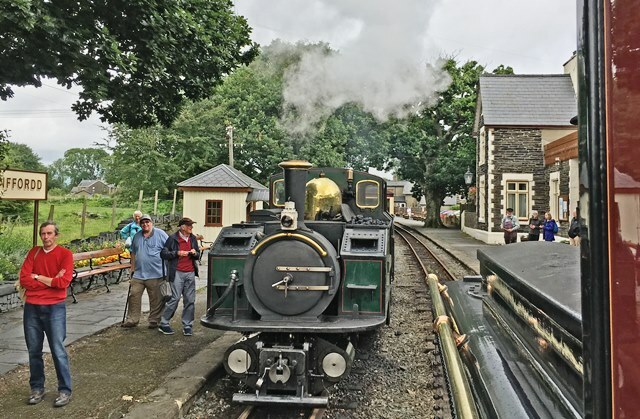 We had started the day in castle-dominated Caernarvon, boarding the Welsh Highland Railway, UK’s longest heritage railway, that took us inland, past the foot of Snowdon and on to the pretty village of Beddgelert. 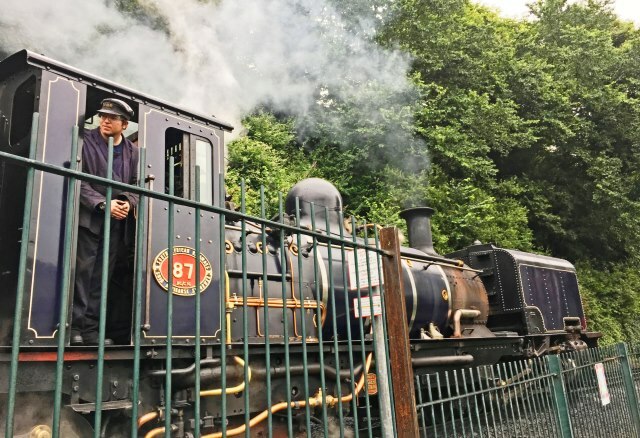 Our train was pulled by a mighty fine black locomotive, NG/G16 No.87, built in 1937, originally used in South Africa and rebuilt in the Ffestiniog Railway’s own Boston Lodge Works. En route we got superb views out towards the Lleyn Peninsula, beside old slate mines and tiny railway stations, past lakes emerging from steamy windows, near rushing waterfalls and on up into the mountains. 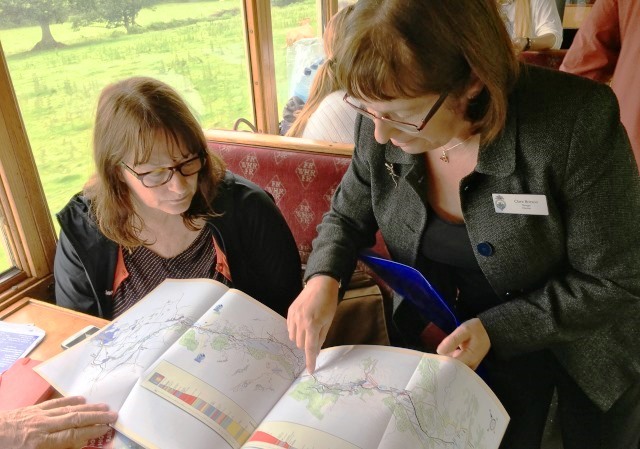 Clare, our very informative host from Ffestiniog Railway Company, outlined our route on the map and gave us some facts and figures about the company and its rolling stock. 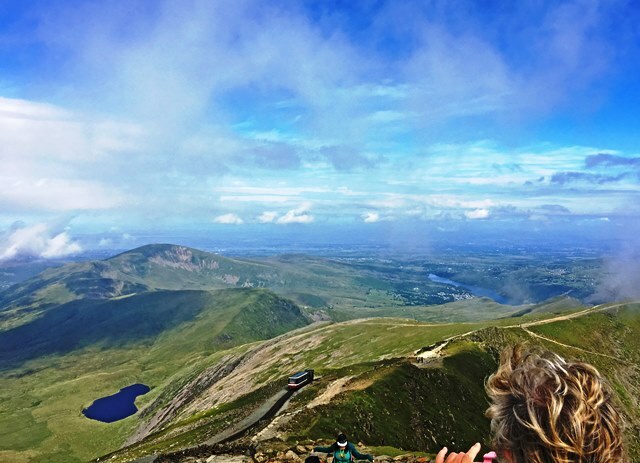 Well-equipped walkers got off at one of the halts to hike up Wales’ highest peak. 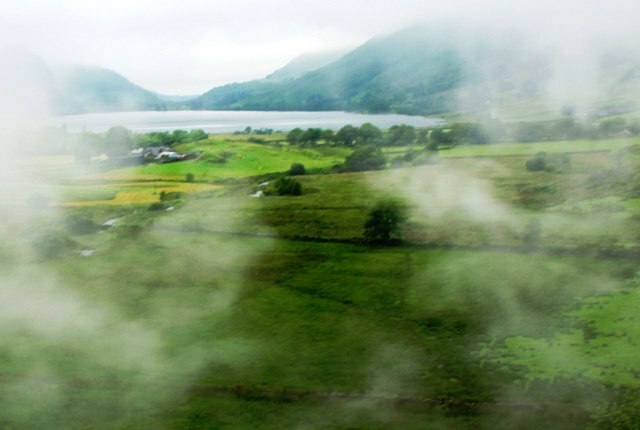 As we crossed the impressive Glan-yr-afon Viaduct I gazed up towards the summit of Snowdon, shrouded in mist. This stretch of the track is one of the steepest gradients in Britain, 1-40 and we snaked our way back down through the forest toward Beddgelert, Snowdon playing hide and seek along the way. As we disembarked in Beddgelert, the rain arrived, not so unusual in this part of Wales. However, by the time we’d got our coach to the quirky village of Portmeirion it had stopped and the sun was peaking out again. The following day we headed off into the valleys for a ride on the Llangollen Railway, the only standard-gauge heritage railway in Wales. As with many other railway lines, this was originally built for the mining industry, but Llangollen has been a tourist destination for many years. It’s a very attractive town on the River Dee and the railway is its biggest attraction. The quaint Station Building sets the scene with old suitcases piled on the platform and uniformed guards, drivers and other staff bustling about making sure everyone gets aboard in time for departure. We had a reserved carriage all to ourselves again, with scones, jam and cream laid out on crisp white linen – very civilized. The velvet-upholstered seats and lacquered wood panelling all conspired to give that feeling of nostalgia for rail travel in stylish luxury. We were being pulled by beautifully restored locomotive 80072, built in Brighton in 1953 to run on the south coast, but left to rot for many years after the Beeching cuts of the 1965, which is when the Llangollen Railway also closed for main-line travel. There are few transport sounds more evocative than the huffing of an engine as it builds up steam on its way out of a station. We got that experience a number of times as there were a three stops along the line, which runs beside the sparkling River Dee, to Corwen. The return journey was equally delightful and everyone thoroughly enjoyed our very special steam train journey. After lunch we went on a leisurely glide along the Langollen Canal on a horse-drawn boat – perfect end to a perfect day. I travelled to North Wales courtesy of Great Rail Journeys and Rail Discoveries. Our group stayed in Llandudno at the very comfortable Dunoon Hotel, with superb food in charming surroundings. We also had an excellent Italian meal at the Wildwood Restaurant in the town centre. 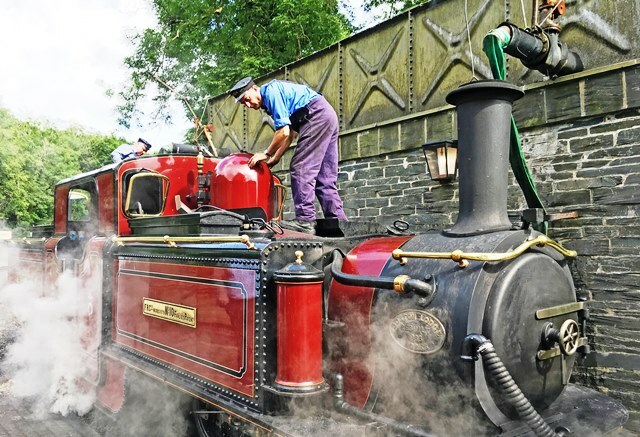 Great Rail Journeys Railways & Castles of Wales Tour includes a stay at the award-winning Dunoon Hotel, journeys on the Welsh Highland, Ffestiniog and Snowdon Mountain Railways, and excursions to Portmeirion Village and Caernarfon and Conwy Castles. GRJ Independent can also tailor make holidays to the region for those wishing to travel to Wales on an individual basis. More details Railways and Castles of Wales. 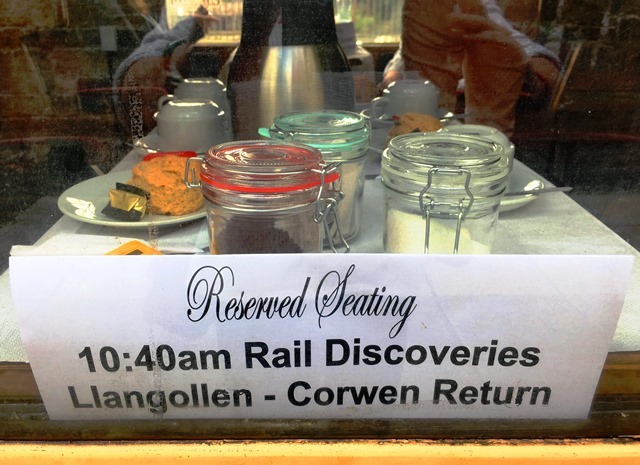 Rail Discoveries Railways of Wales Tour includes a stay at the Kensington Hotel, journeys on the Welsh Highland, Ffestiniog and Llangollen Railways, a horse-drawn boat trip on the Llangollen Canal, and excursions to Portmeirion Village and Caernarfon Castle. More details Railways of Wales. 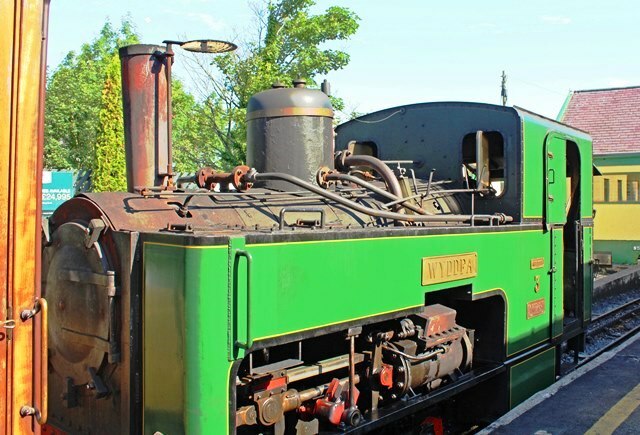 Love Narrow-Gauge Railways? Read my review of Small Island by Little Train – a narrow-gauge adventure by Chris Arnot. Wonderful tour, wonderful photos. Looks like you were lucky with the weather too. I really should get along there and do the whole rail thing! It’s a wonderful area. Last time we visited, the focus was on nearby Portmeirion. Do hope you get to do the rail thing Mike! Such a lovely way to see some of the most stunning scenery and to places inaccessible by car or on foot. 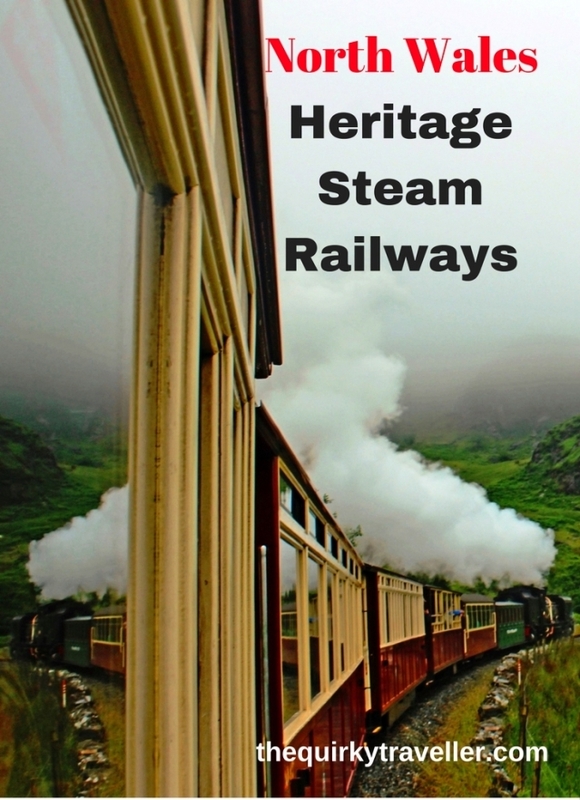 What’s your favourite steam railway experience? Do share any suggestions for other heritage railways not just in the UK but overseas ? So glad you enjoyed it Marian. Do hope you get return and do the steam trains ? The great thing about the tour (either organised or bespoke) is everything is done for you in style and a touch of luxury! Highly recommend it ? I remember seeing that train when we we went to Portmeirion – looks like you had good fun on the trip! 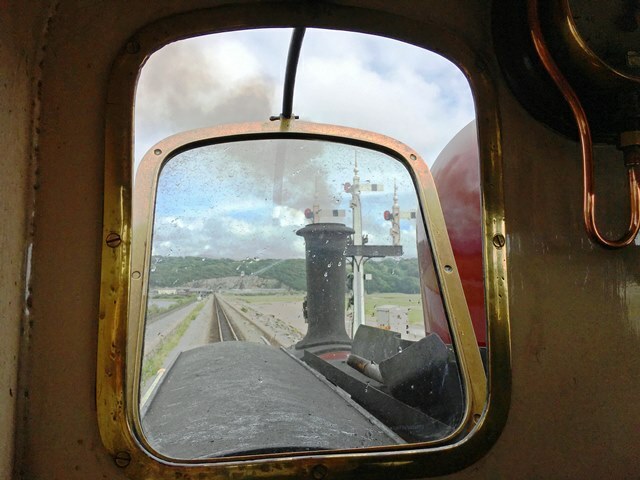 You’d have loved that footplate trip Alex 🙂 We used to take you on quite a few stream train trips when you were younger – but never in North Wales. You’ll have to go yourself one day! I do love steam trains! Alas we climbed Snowdon a few weeks before the railway opened for the season although we did stay in a b&b near the tracks of one of the other local railways which was fantastic to see. 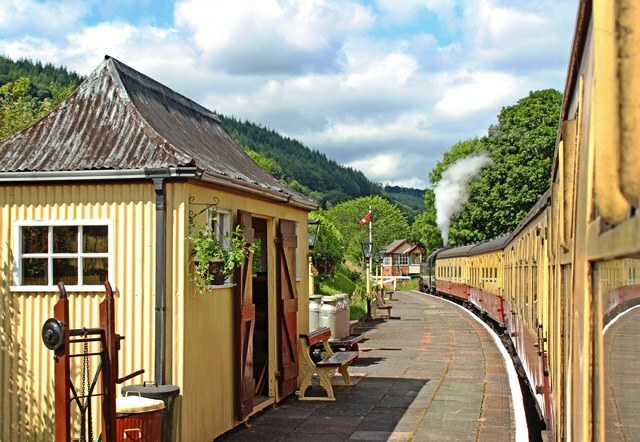 Ah thanks Karen – sure you would love that part of Wales and the railways are a delight 🙂 Check out the two rail tour companies – sure you will find a package to suit! Brings back very happy memories of childhood and the sights and sounds of steam travel. We’d better have a look at that tour for next year! 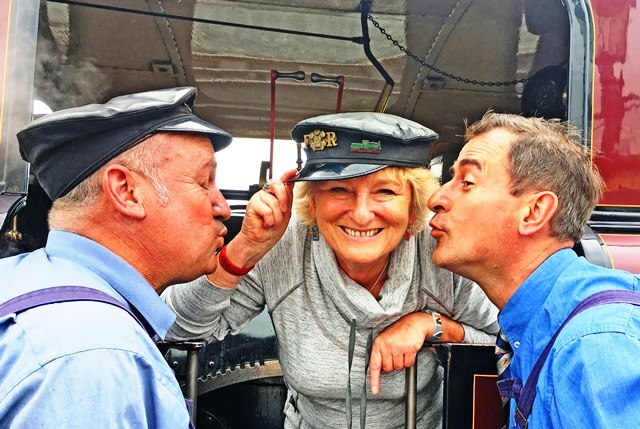 I can highly recommend the rail tours – check the links in the post James. It’s great to get it organised so all you have to do is enjoyi yourself!